The back hoe trench box is a lightweight trench box designed for inner city shoring jobs. Used to support sides of excavations, generally used for the laying of small diameter utility pipes such as gas, water, telecoms or power cables. Designed for use with smaller machines such as 180’ excavators and rubber tyred excavators. 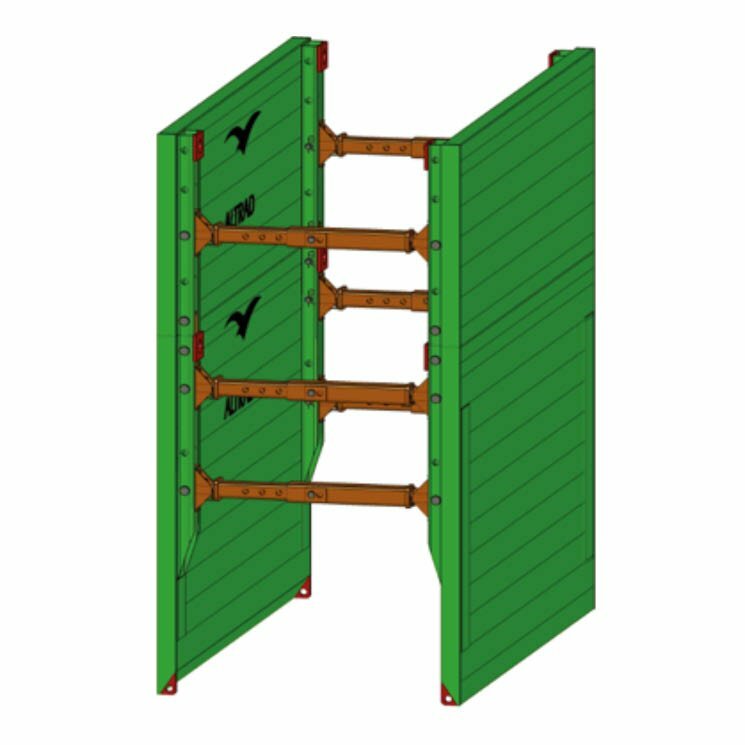 Lightweight alternative to Standard & Mini Trench Boxes when lifting capacity is an issue on site. Effective down to 3.00m, provided ground pressure does not exceed the Permissible SWL of 20 kN/m2 for this box. ALWAYS enquire about design service if unsure. Manhole Braces are the alternative if it exceeds the SWL and either Manhole Brace’s or Alloy Waller’s if cross services are an issue on-site.